As scheduled, I did meet Mr. Zac Hollis on 13th February 2019 and the discussion continued to even 14th February 2019. So I met him not once but twice!! Outcome from the meeting ? Both the meetings went very positive and Mr. Zac Hollis as a person is a true gentleman and definitely a positive person ! Post the meeting, a lot of things did happen which are positive & negative, Hence I could not keep the thread updated ! The case is due to be heard today (28th February 2019) and I will keep the forum posted about today's updates by end of day. I've been following this thread since it came up; firstly, big admiration for Suhas for pursuing this fight, and second, what kind of organization does not go all out in pacifying customer when there is no doubt about fraud? I'm surprised; how are the Skoda folks who have met Suhas but stone walled attempts to get him justice (mere exchange of car doesn't suffice) keeping their jobs? What kind of HR does this company have? Awful, awful corporate governance from Skoda. I'm not really surprised about Vinayak Skoda because these firms are often led by people with questionable intent/ backgrounds/ capabilities. But Skoda should have done better. What makes this whole thing worse is that this isn't Skoda's first brush with a rogue dealer. Pathetic. Here is the much needed but stalled update! Why the delay in updating all the eager BHPians?! Firstly I wanted to post something positive but unfortunately it has again spiraled in negative direction due to failure in executing the settlement that we have reached !!! 13th February 2019: As scheduled, I did meet Mr. Zac Hollis at one of the renowned restaurants in Bangalore and had an hour’s discussion in the presence of the Regional Manager, Mr. Pulkit Gupta. They further heard me out in detail and Mr. Zac Hollis went on to even say that he’s not here to debate on who’s wrong and who’s right and he has understood the hardship that I have been struggling for over two years and how his dealership and what his dealership has done to me is completely wrong and stupid, So he wanted to fix things and asked me to give him time till the end of day and he would talk to the dealership and ensure a settlement is reached as early as possible, as his primary goal is customer satisfaction and whether or not there is something wrong, if a customer is not satisfied with anything connected to Skoda and if it’s a reasonable ask and if the customer is justifying his say, then Zac Hollis is always ready to support them. So, as promised, Zac Hollis did get back to me by the end of the day, he said he has spoken to the dealership and his team will reach me by next morning and I can discuss with them. 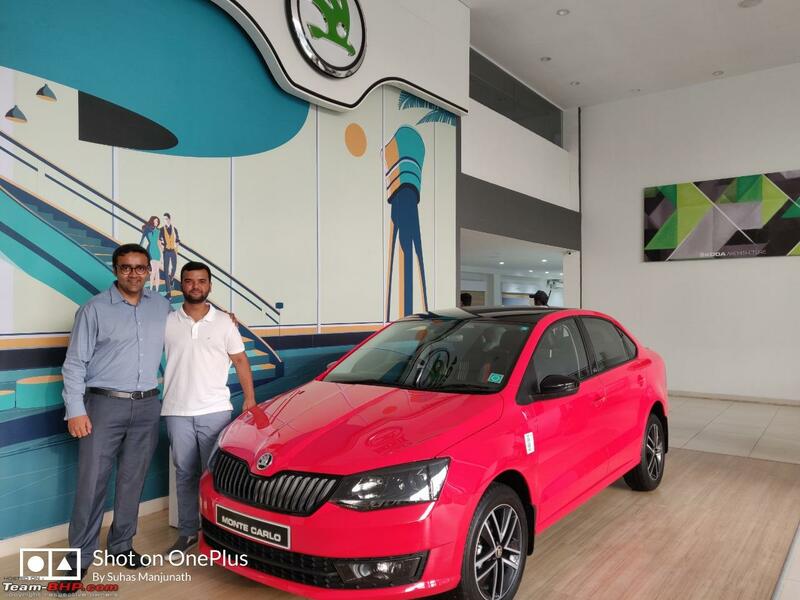 14th February 2019: As expected, Mr. Pulkit Gupta calls me in the morning and says they are ready to offer the Skoda Rapid Monte Carlo 1.6 MPI MT + Skoda Maintenance Package as goodwill to settle the case legally and also put an end to this issue and if I were ready to accept this offer then they were ready to deliver the car by evening in the presence Zac Hollis (Before Zac Hollis flew back to Mumbai). 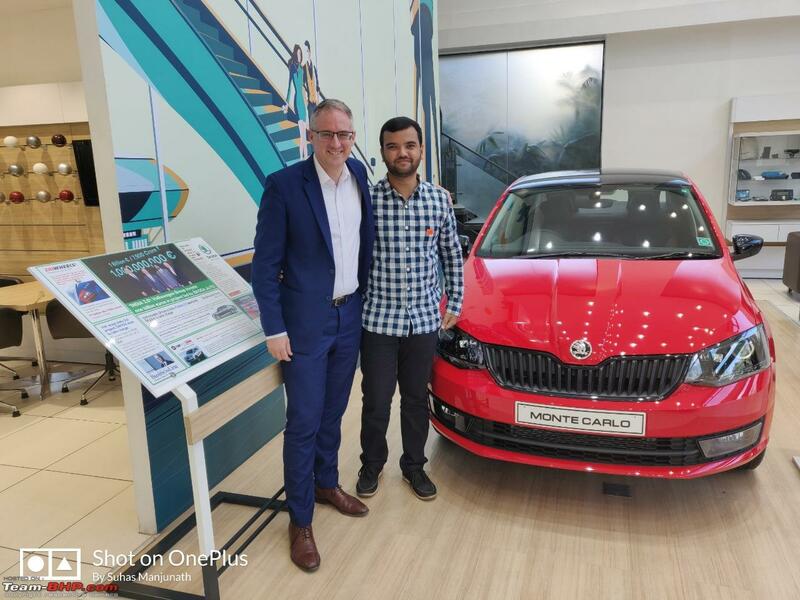 So, I further communicated to Pulkit that this offer is not good enough for me to settle the issue as I would still be incurring losses and I was not ready to bare any losses for no fault of mine, but since there was already something positive from Skoda’s end, I requested him to set up another meeting with Mr. Zac Hollis before he flew out of the city and I also quickly dropped a message to Zac Hollis requesting him to meet me once again to close this deal, obliging my request and being a true gentleman, Zac Hollis squeezed his schedule to meet me. In a couple of hours, I received an update from the Regional Manager that if my schedule permits then I could meet Mr. Zac Hollis around 3:00 PM at Vinayak Skoda. 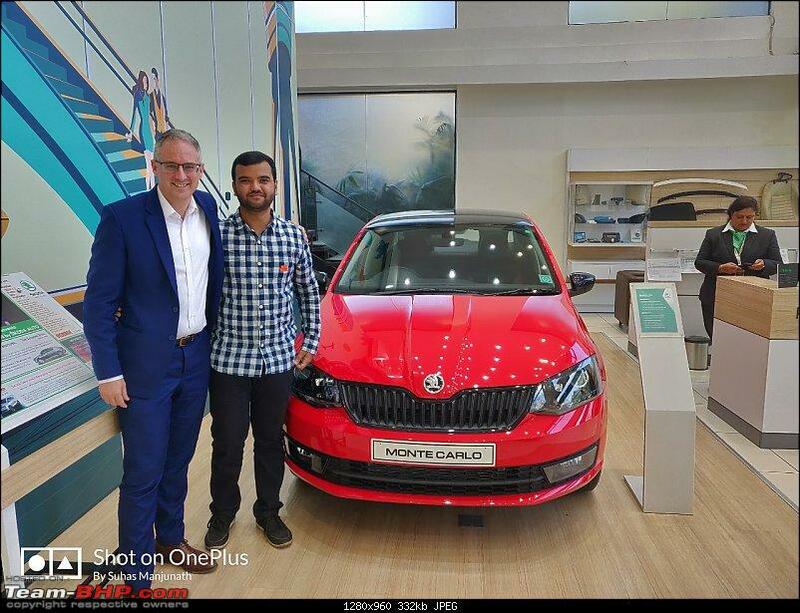 I confirmed them on the meeting and as scheduled I met Zac Hollis in Vinayak Skoda for a second round of discussion, Going through the discussion we came to a settlement where I was offered the MY 2019 and VIN 2019 Skoda Rapid Monte Carlo 1.6 MPI MT + Skoda Maintenance Package + Monetary Compensation. (The Monetary compensation accounts for most of the expenses incurred but not a lucrative figure or nothing which benefits my pocket or account balance). But on understanding that issue was going to be closed and I was not incurring any substantial losses other than time and energy, I finally shook hands with Zac Hollis and accepted the deal. Since, paperwork had to be completed and there were other formalities involved before the execution could happen, I informed the Regional Manager, Pulkit Gupta and Zac Hollis that I would need another day’s time to finish all the necessary work from my end and I was ready to take the delivery on the 15th February 2019. Upon saying this and understanding the practical requirements for the execution, Zac Hollis and I took few lovely pictures in front of a shiny Red Skoda Rapid Monte Carlo and closed our deal and I left Vinayak Skoda feeling satisfied and happy that I finally have a car that I can drive and not just a car parked in my parking area (basically a showpiece). •Upon further discussion with the Regional Manager and Area Sales Manager and after understanding the differences between the Regular Skoda Rapid 1.6 MPI MT & Skoda Rapid Monte Carlo 1.6 MPI MT, I decided to choose the Regular Skoda Rapid 1.6 MPI MT as it has 2 additional airbags than the Monte Carlo and also the Skoda Rapid Monte Carlo was available only in Red colour. 15th February 2019: During the morning, the RM calls me again to discuss further and schedule the delivery, during the course of discussion we understood that completing the PDI, submitting the bank documents and getting approvals from the bank for change of cars along with finalizing the legal documents for closure of the legal case is too much to accomplish in one day and decided that we push the delivery by a day or two, I later got instructions from my mom that 18th and 20th were the other auspicious days in February and she had asked me take the delivery then, since all of us got some breathing space to complete respective tasks, we said we’ll fix the delivery on the 18th February 2019. I had also asked for the Proforma invoice for the new car that had to be submitted to the bank. Later during the day I received the Proforma and as expected there was under-pricing of the car to avoid taxes, since this proforma was sent to me after the Bank hours, I needed a day or two to discuss with my bank and get approvals. •Either on the 16th or 18th I again got a call from the Regional manager with the owner of Vinayak Skoda as well on the call and conveyed to me that car is ready for delivery but due to some technical problems, they were not able to pay the Road Tax and hence I could take the delivery and later come back for registration, I refused this and said take time till 20th but ensure the car is delivered with everything completed and recorded. 17th February 2019: As scheduled, BHPians SunnyBoi (https://www.team-bhp.com/forum/members/sunnyboi.html), nkrishnap (https://www.team-bhp.com/forum/members/nkrishnap.html), Vinodh_Gowda (https://www.team-bhp.com/forum/membe...odh_gowda.html) and myself reached Vinayak Skoda near Whitefield to do the PDI of the two cars available and choose the better car from the two options, we did the PDI of one car which had already completed 60 km, we later asked them to show the second car and then we were driven to their stockyard and shown the second car but since it was a Sunday, we could not see the interiors of the car or start the engine as the keys were unavailable, from the outside both cars looked fine and there were no problems on the paint work and comparatively the second car was newer than the first (going by the manufacturing date), so we decided to choose the car that was least driven among the two options and we dispersed for the day. I was given a couple of documents that had to be signed by my bank authorities for change of car and other documents connected to FASTag, etc. 18th February 2019: I received the picture of the ODO reading for the second car and it was just 7 km! So, I chose the second car and asked them to keep it ready for delivery on the 20th February 2019 by 11:00 AM. Upon choosing car and receiving the needed documents that had to be signed by the bank, I met the Bank Manager and handed over the all the documents, he later went through the documents and also pointed out that the on-road value of the car was decreased by INR 2,01,387 in the proforma invoice when compared with the Skoda approved pricelist, he went on to say that if it was a matter of few thousands then he would not have questioned but this is quite a big difference and he asked me for an explanation, I told him that even I have noticed this difference and I asked him to give a few hours and I would talk to Skoda about this and either fix it or give him an explanation about the under-pricing of the car before taking the delivery of the car. 19th February 2019: Had a few discussions with ASM and told him about the problem with the under-pricing and everything connected, he said basically in this deal, the dealer is selling/invoicing the car without his margins and due to this, the car’s tax slab has dropped and he’s able to bring down the car’s price by INR 2,01,387 when compared to Skoda’s approved pricelist and also that I need not worry about the documentation as there are no debit notes or any such stuff involved in the sale connected to my car. I further passed on this message to the bank and also accepted it very reluctantly as I did not want break the deal just a day before the delivery and further drag it legally. Later, around 6:00 PM is when things spiraled negatively. 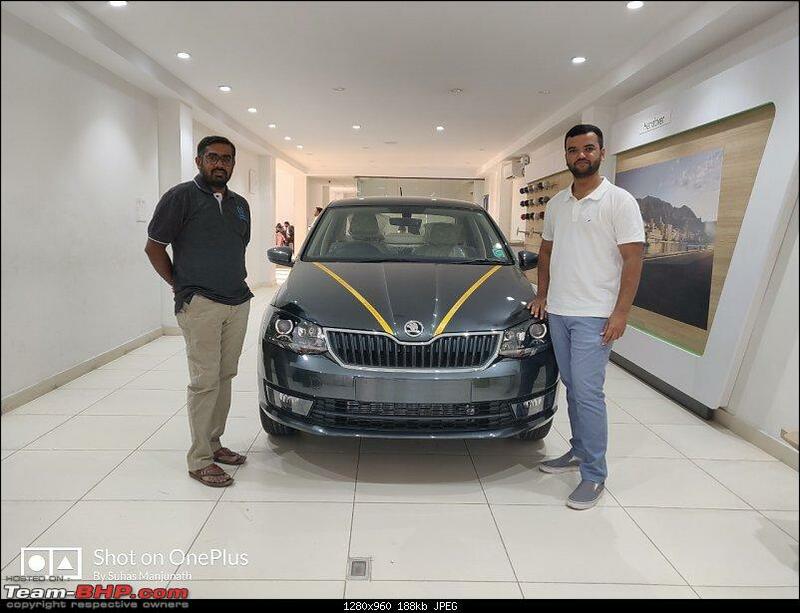 I received a call from the Regional Manager, Pulkit Gupta and where there were two people of Skoda’s legal team connected as well, All that they told me was I had to withdraw the case before the settlement could be executed and if it’s not possible to withdraw the case then the car would not be delivered on the 20th February 2019, It was already post Judicial working hours and the car was supposed to be delivered by 11:00 AM the next day, hence I was left stranded and the delivery did not happen! 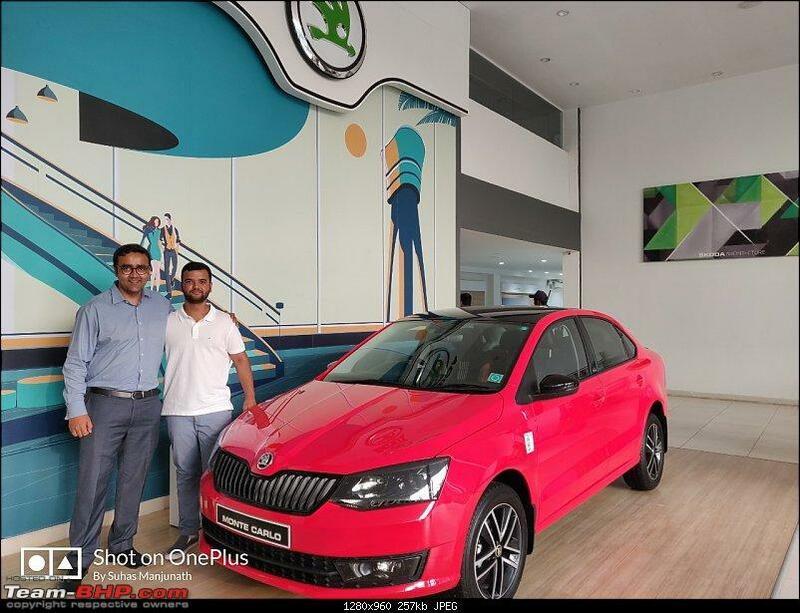 20th February 2019: was quite a packed day for me as sister was heading back to the U.S and there were other family schedules that could not be shifted to accommodate a trip to the court to file a settlement memo, I gave one last try in the morning to take the delivery but it was not possible as Skoda did not agree to deliver the car, I wanted the delivery to happen with my sister’s presence and I had literally squeezed her schedule to accommodate the delivery but Skoda disappointed the family again. • What I don’t understand here is, Skoda had asked me to sign a settlement agreement on a INR 100 bond paper saying the issue has been resolved and I would close the legal case at the earliest possible date in the court and handover this document to them at the time of delivery of the new car and also return the existing car (was this not secure enough to deliver the new car?). If Skoda wanted me to withdraw the case before the settlement then why did they want me to sign that particular settlement agreement? Also why was this point not discussed during the earlier discussions on 13th & 14th but brought to my notice just hours before the delivery and in an impractical situation to withdraw the case? In fact when they were ready to deliver the car on 14th itself, then I wonder how they would ensure all these formalities or requirements to be fulfilled in an hour or so, if I had committed to take the delivery on 14th itself?! Anyway moving forward, after this failed execution for which I had splurged significant time and energy while skipping work and some travel as well, I was left disappointed and family were furious as well. 26th February 2019: Formally wrote back to Zac Hollis addressing few grievances of what has happened and about the under-pricing of the new car as well and even if Skoda delivered the new car at this instant moment, it would still be my incomplete family taking the delivery. 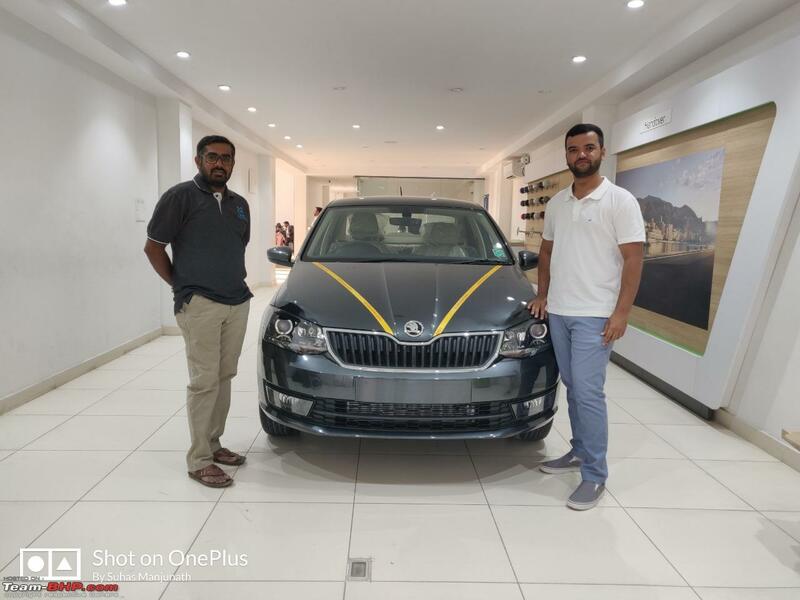 6th March 2019: Met the Regional Manager, Pulkit Gupta & ASM, Nimish Sharma at Skoda’s regional office in Bangalore and discussed on how to proceed with the execution and later we decided to see what happens on the 8th March 2019 at the court and if there was no judgement passed then we could proceed with the settlement. Also he said he will take care about the invoices/billing issue if the settlement was happening and hence one part of the issue was solved. 28th February 2019: We updated the court about the settlement we had reached during the discussion on 14th February 2019, but Vinayak Skoda’s advocate made an incorrect statement that they have already delivered the car and the case needs to be closed, but since I was personally present at the court I countered him by saying it’s a false statement and asked them if they have already delivered the car then where are the invoices & documents of the new car? Or the evidence to prove that it has been successfully delivered, upon hearing this, the court said they would give a week’s time to ensure the settlement is executed and only after the execution, it should be reported on the 8th March 2019. 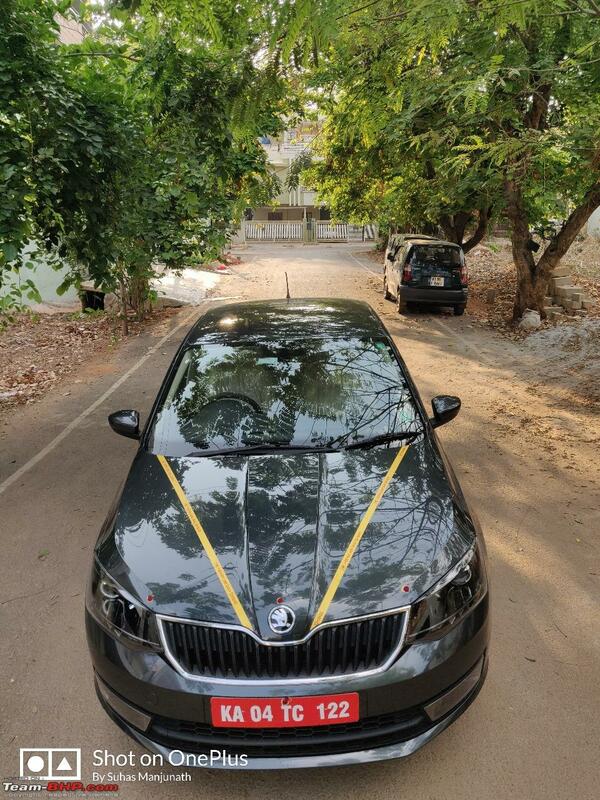 8th March 2019: We went to the court and updated that the execution of the settlement had not yet taken place as they had not initiated the process or approached to deliver the car, but Vinayak Skoda’s advocate said they are ready to deliver the car immediately and they have at least 5-6 cars in stock, So the court asked me to inspect and select a car and also take the delivery before 11th March 2019 and report the settlement to the court on 11th March 2019, If failed to do so then the court would not be ready to hear out either parties in future. So, adhering to the court, I promptly went for a PDI on Saturday (9th March 2019) and to my shocker again, only one car was still available in their stockyard but this car had some deep scratches that needed paintwork and also the interior was dirty, it had stains on the glove-box area and on the roof, So, I had no option but to reject it. 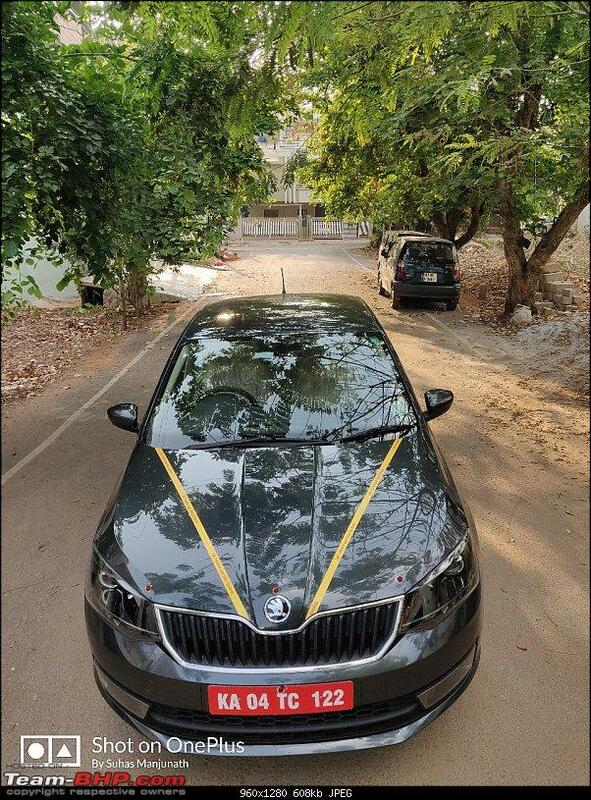 11th March 2019: I was personally present at the court and handed over the printed pictures of the car and informed the judge why I was not ready to take the delivery, the judge understood the problem and instructed Vinayak Skoda’s advocate to order and get a new set of cars at the earliest and posted the case for 27th March 2019, he also added it’s a final date for reporting settlement and if it’s failed to report a positive statement then consequences have to faced. I really need to mention about this person. The man who solved the misery, Mr. Zac Hollis,Director Sales, Service & Marketing at Skoda Auto India. To begin with, he’s a true gentleman, comes in with 100% positivity and is a very keen listener and wants to understand the customer’s view and concern and then decide what needs to be done and also acts very swiftly on it ! 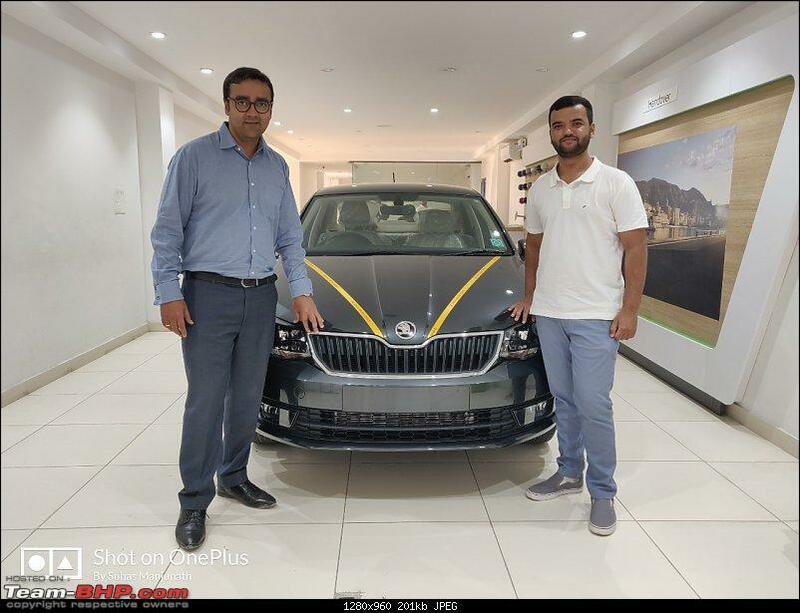 What other people at Skoda Auto could not resolve in over two years, this man resolved in 2 hours! Do I need a better example than this to understand his commitment level? No. Another notable point, he still has continued to support me and unblock hurdles to take the delivery of the new car even after the 20th February 2019, when the slated delivery had failed. He did not leave me stranded by saying ‘I have done my bit and ensured we have offered a settlement and rest we cannot do anything’. Instead he has directed his team to ensure the issue is resolved at highest priority and as quickly as possible. Unlike other senior management people, he’s open to meet customers and address their grievances, if needed. I know another example of another BHPian girish.purswani who also had issues with his Rapid and how effectively Zac Hollis resolved his issue as well. I have got replies from Zac Hollis in few minutes after reaching out to him, probably even before his Secretary or team reached out to me and even if it was a Saturday, a positive reply with required support always comes in when there are reverts from Zac Hollis. Going forward, we have continued to discuss several topics in the past month through messages exchanged on WhatsApp, all that I can say through this post is, Zac Hollis is a very committed man, his talks are motivational enough for anyone to get going and accomplish what needs to be done, Heard from him that he has been with Skoda since 1997 (22 years now) and is very committed towards the brand. His strategies for India are good, If he gets a good enough team to support him then I have high hopes that he would lead Skoda India in a complete positive direction and also change the existing ill famed reputation of Skoda. If not for him and his fantastic approach towards my issue, I don’t think it would have reached this stage, He was appraised with my issue sometime in 3rd week of January 2019 and he had come down to meet me by the end of 2nd week of February 2019, a matter of few weeks after learning about my issue. 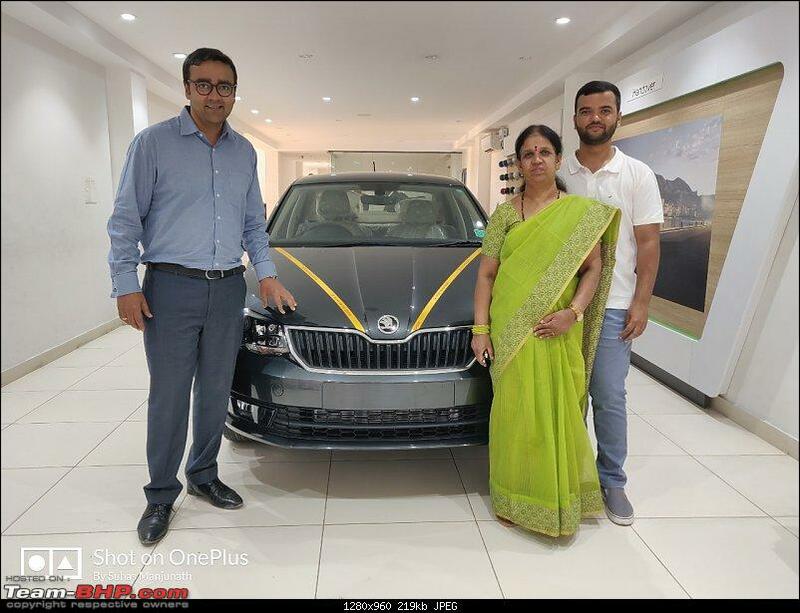 Only thing that I wish had happened earlier was Skoda Auto to have Zac Hollis in India much earlier and the situation at which Skoda India is at now would have been way better. 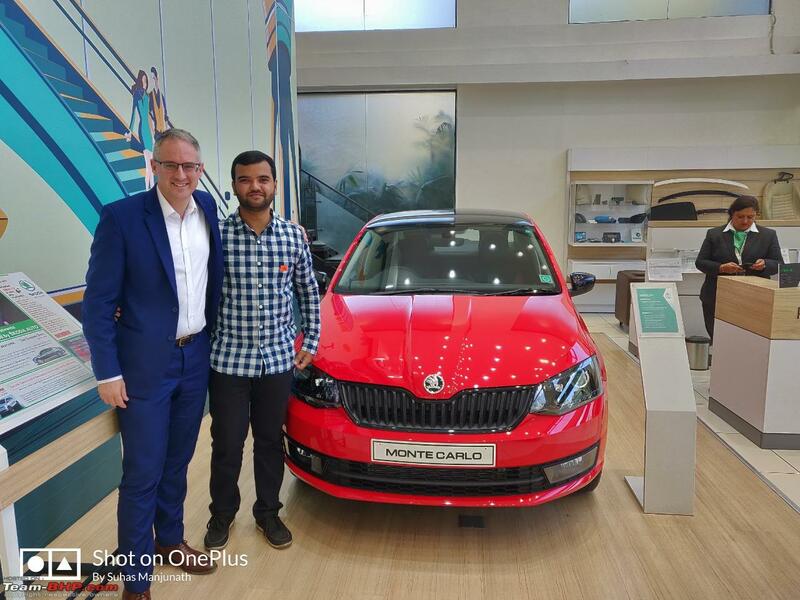 Nevertheless, he is likely to stay with Skoda Auto India for the coming few years and lead the India 2.0 project and set benchmarks for Skoda Auto India. Another special mention is needed for the ASM, Mr. Nimish Sharma. He has stood and supported me through out and wherever possible. He had pushed as much as possible for the delivery on 20th February 2019 but since he’s on one of the lower steps of the ladder, He was not able to do much. I hope the execution happens soon and I have a car that I can drive peacefully. My next update is hopefully after the delivery of the new car and with note of having the legal battle settled as well. BHPians could post their opinions or PM me if they need any additional info, I would be happy to share or answer anything that I might have missed out. Even though you have one good man there, it sounds like there are many very unpleasant and unhelpful individuals. There is nothing ethical about making a bargain, and later claiming that legal people have found issues. So frustrating that, with an end in sight, you are still being made to feel like walking waist-deep in mud. Looks like Vinayak Skoda is hell bent on ensuring that they don't abide by the rules and law. This needs to be pointed out to Mr.Zac and a stern action is required to ensure no such issues occur in the future. Last edited by theMAG : 16th March 2019 at 17:44. Reason: Minor typo fixed. Hopefully you will get your new car very soon. 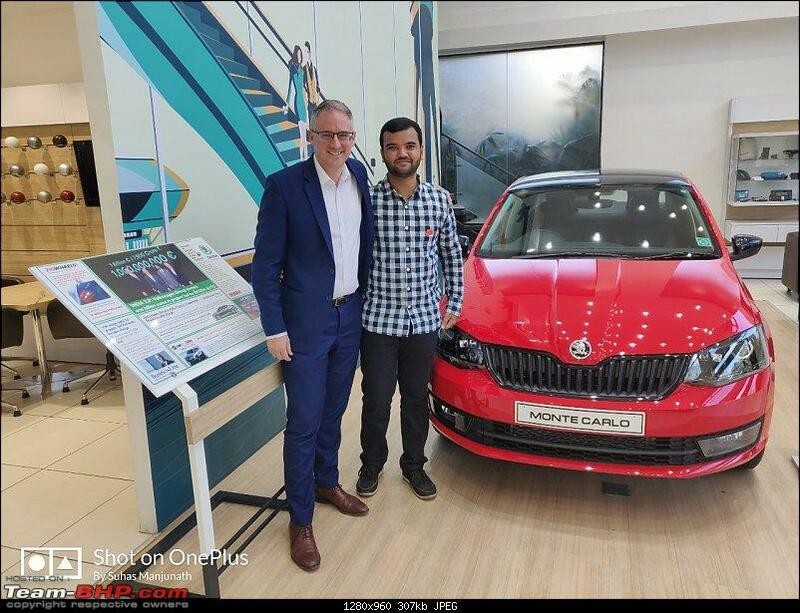 Did Zac Hollis have anything to say about what action he or Skoda India would take on the dealer for blatantly cheating their customers? They are shameless, myself and my cousin gave them one of their most horrifying experience verbally in Jan 2014. We probably exhausted our dictionary for harsh words in Kannada. Glad to hear that you finally are nearing to a solution. Although I felt a bit disappointed that in the end the negotiations with Skoda didn't really materialise into an offer that would have made you feel pampered. In addition to that all the additional running they are making you do and the continued lies in person and to the court - I fail to understand why you would want a new prolonged association to the brand. One guy at the top may be good but when the whole system has rotten below, there is little hope of revival for the brand. From your post, it is quite evident that the dealership is doing whatsoever little it is doing, reluctantly and under pressure. Even then they are able to move cars here and there and offer you a scratched car to begin with. In the coming years, I really wish and hope that they do not make you run more for servicing etc. After all Mr. Zac Hollis won't be around forever to help you. I am quite apprehensive about a long term association with this brand or whatever is left of it. Although, it's completely your decision Suhas, but even I feel the same as drmohitg says. I am quite apprehensive about a long term association with this brand or whatever is left for it. This brand is rotten, and they are giving you hurdle after hurdle every step of the way AFTER having wronged you once. It is just not worth it to give your limited time on this planet to such people. In your shoes, since the legal battle was also drawing to a conclusion, I would have outright rejected any sort of "replacement" car. Value of car back + monetary compensation should have been your only demand. But hey, I don't know the circumstances and of course only you know what's best for you. So all the best in your quest. And Thank you for sharing the updates regularly. The brand, worldwide, is not rotten (at least no more so than VAG in general). No idea why the Indian experience should have been so bad. Maybe Skoda shipped their worst management out here. By the way, looking at recent developments on this thread yesterday, I thought, "Vinayak. Named after the god who removes obstacles!" There's irony! Okay BHPians, here’s the BIG update & the one that updates the thread title as well ! Finally resolved! 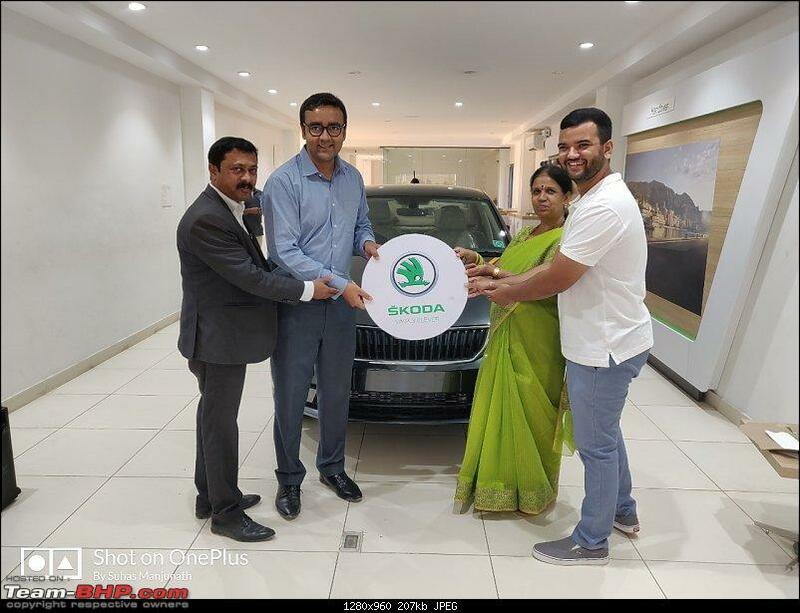 Skoda Auto India Pvt. 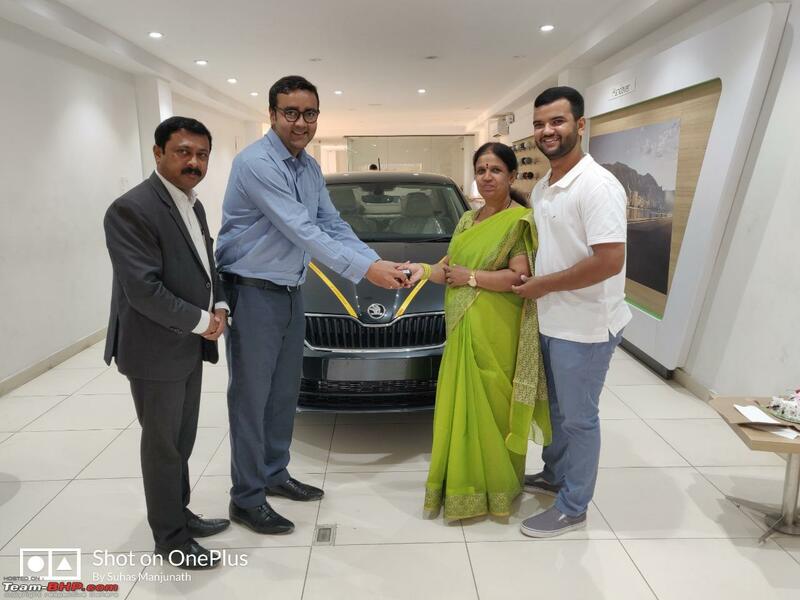 Ltd & Vinayak Skoda delivered a brand new Skoda Rapid to me on the 23rd March 2019. As per negotiations that had taken place on 13th February 2019 & 14th February 2019 between Mr. Zac Hollis and me, during which we had agreed upon a settlement and formally shook hands to close the issue, but execution got detained for 37 days due to unforeseen requirements. 14th March 2019 : I connected with Mr. Nimish Sharma (Area Sales Manager) & Mr. Pulkit Gupta (Regional Sales Manager) and had a discussion with them about what had happened in the court recently and we discussed the next course of action, later that evening I had a confirmation from Mr. Nimish Sharma that an order will be placed for a new car by 15th March 2019. 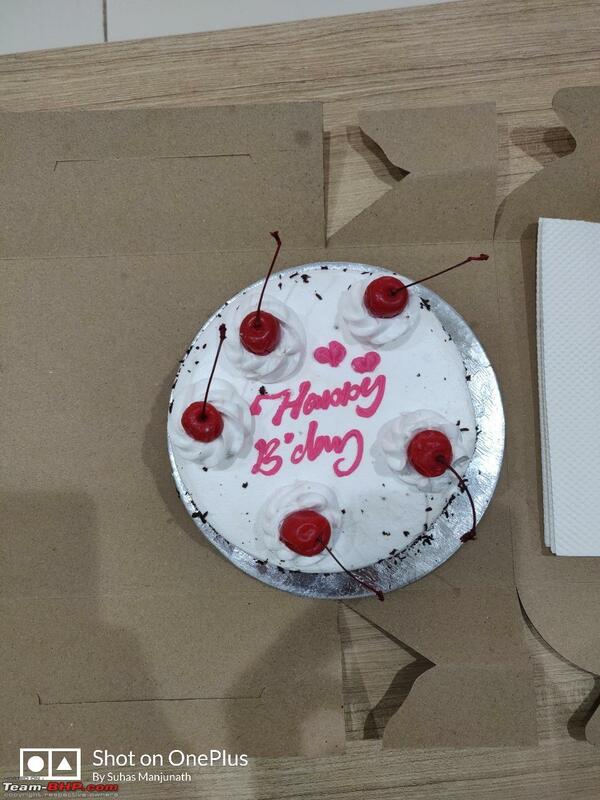 15th March 2019 : I connected with Mr. Nimish Sharma to verify if the car had been ordered and how long would it take for transit as I wished to take the delivery on 23rd March 2019 since it was my Mom’s birthday as well, He informed me that the order has been placed and the cars would get loaded onto a truck by Monday (18th March 2019) and should reach the destination in 3-4 days and they would inform me in advance before the car reaching the dealership premises as I could go to the destination and even check the car being offloaded from the truck for my satisfaction. 19th March 2019 : I again connected with Mr. Nimish Sharma to check whether the truck was on schedule and whether everything was going as per our requirements, as hoped everything was on track and the cars were already in transit and there was no delay in truck’s transit schedule as well. So, we decided to proceed and keep all documentation ready which were required to accept and deliver the new car and hence there would be no last minute hassle or delays. I asked my advocate to get the necessary paper ready and also kept my bank in the loop and I asked them to prepare paperwork to transfer the loan, while I scheduled myself to be free on 22nd March 2019 to do a PDI and take delivery on the afternoon of 23rd March 2019. 21st March 2019 : All necessary paperwork from my end were ready and I connected with Mr. Nimish Sharma to check if the truck was on schedule to reach the destination by 22nd March 2019 and as to what time I should reach the destination to inspect the car. He informed that as of now the truck is on schedule and should reach by tonight and the cars would get offloaded by next morning 10:30 AM. So, I was quite happy with the way things were shaping out and was counting hours to drive home the new car. 22nd March 2019 : I connected with the manager of the dealership in the morning to check if the truck had arrived and if I could come for the offloading and inspection of the car, to my surprise, the truck had arrived but the manager stated only one truck has arrived and the other truck is on the way and is yet to reach, but he stated that he wanted 10 minutes to check if the particular truck which has reached has any Skoda Rapids’ and then get back to me. As unlucky it could get, that particular truck was not carrying any Skoda Rapids’ and all Skoda Rapids’ were on the other truck, So I further connected with Mr. Nimish Sharma and asked him to let me know as to when the other truck would reach its destination and he informed me that due to an unexpected delay the truck is still on its way and would reach the dealership only by tonight but the car will be delivered on 23rd March 2019 if I approve the car after my PDI before 12:00 PM on 23rd March 2019. 23rd March 2019 : The D-day ! I rang up the manager in the morning to check if the truck had arrived, and 'yes, it has' was his answer which gave me a relief that the delivery would happen on my Mom’s birthday. So, as required I went to the destination where the cars were offloaded and by the time I reach, the car had just come off the truck and was parked on the ground, I did my 3rd PDI for the one delivery that was long pending ! (First PDI on 17th February 2019 with three other BHPians, Second PDI on 9th March 2019 when there wasn’t a right car to accept the delivery) So, after completing the PDI and finding no issues with the car and its ODO reading just 3 KM and since it had rolled out of the assembly line on 26th February 2019, I was satisfied to take this car home. 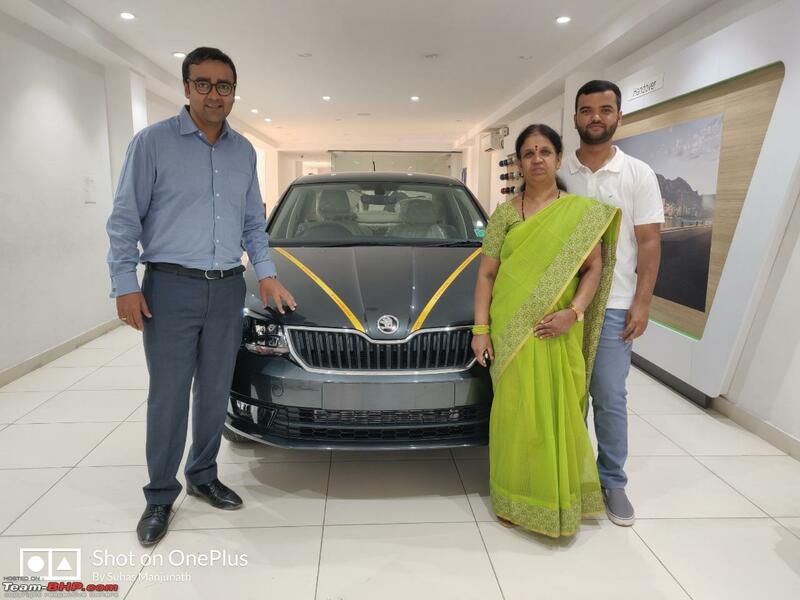 Mr. Nimish Sharma joined me at the dealership soon after I had completed my PDI, He assured me that he would get everything ready by 3:30 – 4:00 PM and I could come with my family for the delivery. 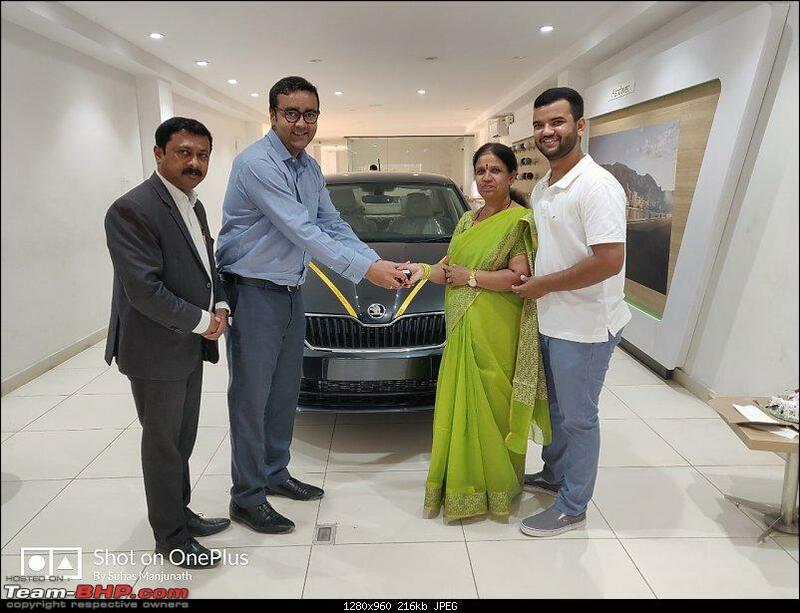 So, as scheduled I asked my parents to get ready for delivery by 4:00 PM and BHPian nkrishnap ( https://www.team-bhp.com/forum/members/nkrishnap.html ) was slated to join us at the showroom for delivery. My Dad had to drop out at the last moment as he got scheduled with an important meeting, so my Mom and I started our journey to the showroom and reached the showroom around 4:30 PM for the delivery and BHPian nkrishnap was already awaiting us at the showroom. We completed all the paperwork and signatory formalities by 5:00 PM and proceeded to take the delivery. 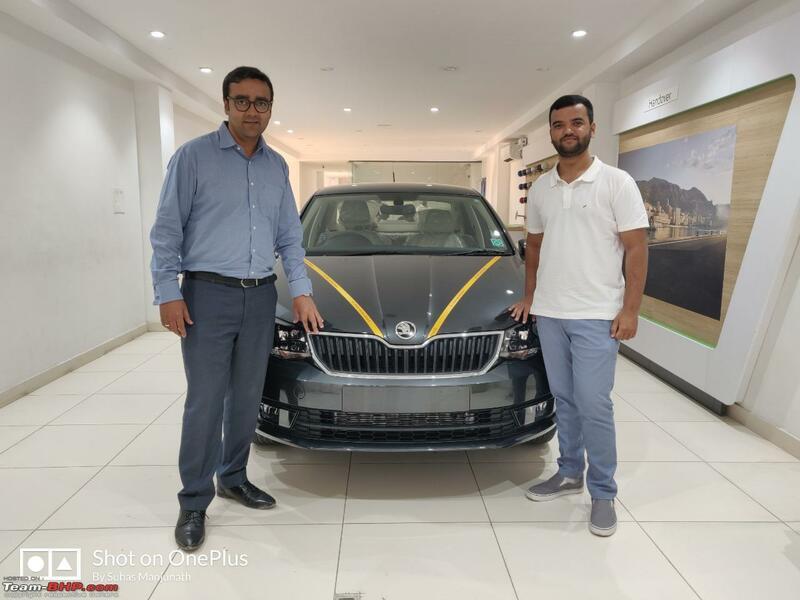 The delivery was organised really well and I would give all credit to the Area Sales Manager Mr. Nimish Sharma for ensuring a smooth and happy delivery ! He even threw in a surprise by celebrating my Mom’s birthday at the showroom. Nimish Sharma is a very dedicated guy and a good chap who supported me from the day we interacted, despite 23rd March 2019 (Saturday) being a non-working day for him and also to have landed in Bangalore the same morning, he rushed to meet me at the showroom even before making a trip home and visiting his family. He made it a point to stay at the dealership from morning till I take the delivery and to ensure the whole process went smooth. I thank him for all his efforts and amazing support in the past months. A big thank-you to BHPian nkrishnap ( Krishna Prasad ) who was always available to help me and answered all my questions and through the process, he even ensured he checked the car with his eyes which are almost as precise as an Eagle’s eye. Also, I thank my lawyer for supporting me and fighting a winning battle, which finally was settled at the court and also helped me attain this solution. Last but not the least, A BIG THANK-YOU to all the moderators who have tirelessly supported and helped with all possible ways, I also thank this huge family of Team-BHP and all the BHPians who have supported me through this entire fight and having given numerous notable points and very valid & timely suggestions and lots of knowledge which has helped me significantly. 27th March 2019 : All parties were present at the court and we filed a document to the court mentioning that the issue has been settled and with all details connected to the settlement, so we are ready to close the case, the court accepted the document and recorded it. They further passed an order based on the settlement. The judge even went on to tell the advocate of Vinayak Skoda and Vinayak Skoda’s representative that he has observed rise in number of complaints against their company and mine was not the only complaint, so they better improve their services and ensure the customers are happy and will go back to them (Vinayak Skoda) if not, they will come to us (court). Another positive aspect of this experience, unlike in the past when Skoda had asked respective people to sign Non-Disclosure Agreements, here we were not asked or made to sign any sort of N.D.A and thus giving me all privilege to share my whole experience whenever and wherever. But still one question has remained unanswered for me ?! What was the action taken by the manufacturer against the dealer for this ? Even I have no answers to this and nor was any information passed on to me about the same. Picture 1 & 2 : The second time Zac Hollis and I met, the day we reached a settlement. The man in this picture is the one who solved my misery, which lasted over two years but Zac Hollis resolved it in two hours. 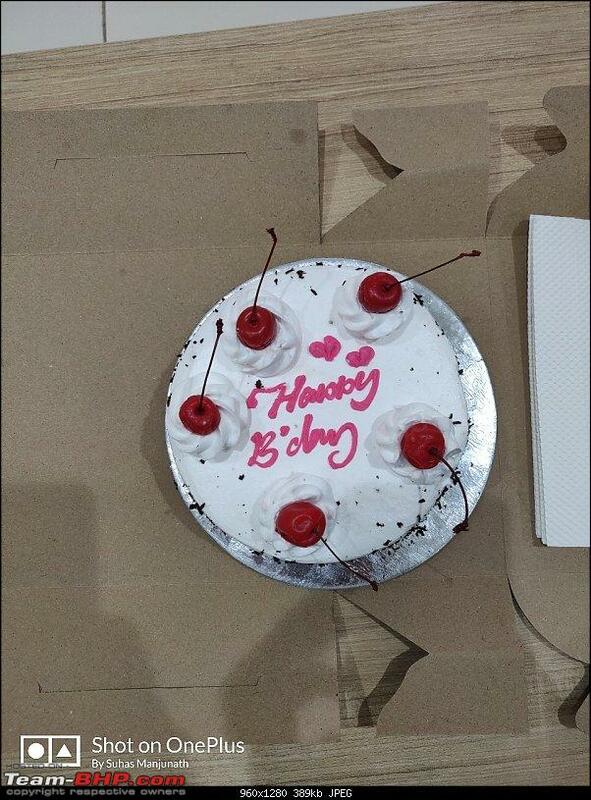 Picture 3 : Cake organised by Nimish Sharma for the surprise celebration of Mom's birthday. 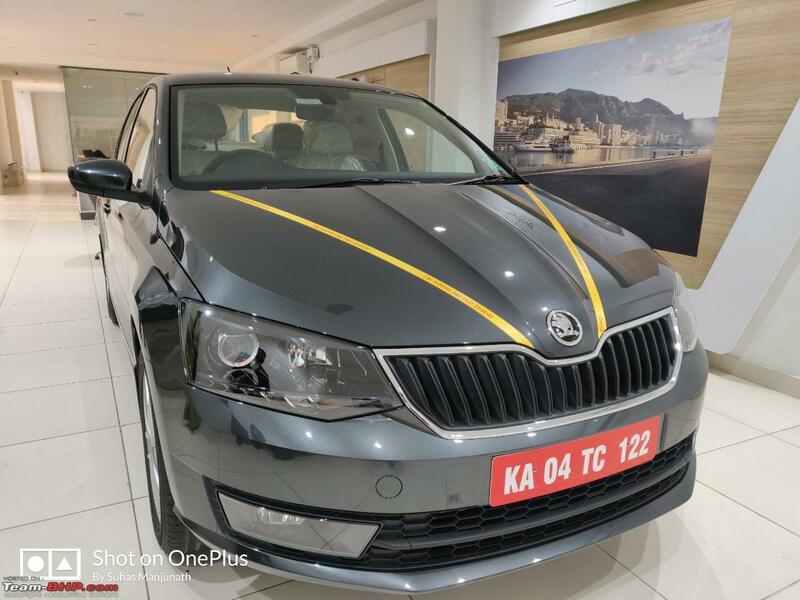 Picture 5 : A snap to ensure we are a part of the Skoda family. Picture 6 , 7 & 8 : Formal delivery pictures with Nimish Sharma, my mom, BHPian nkrishnap ( Krishna Prasad ) and myself. Picture 11 : A picture with Nimish Sharma and I in-front of the newly launched Skoda Rapid Monte Carlo. Last edited by SuhasManjunath : 31st March 2019 at 16:53. Reason: A information was updated. Though i haven't commented on this thread, i was closely following all your updates and the suggestions given out by many members. Really glad that you could finally conclude this chapter in a satisfactory way and wish you all the happy miles in your skoda! The colour looks very appealing! Congrats on your new car Manjunath. Wish you many miles of happiness. It's good to hear that Skoda didn't insist on NDA, however hope they act against erring dealers of theirs. Hard work and perseverance pays in the end. Enjoy your new ride. All times are GMT +5.5. The time now is 12:00.